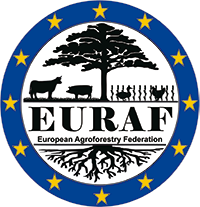 Last week I was in Sardinia to meet the local organizing committee of EURAF 2020, CoLSAR. The meeting was very proactive in supporting the good exit of the V EURAF Conference and such support was also confirmed by the mayor of Nuoro Andrea Soddu and the representative of the province of Nuoro, Costantino Tidu, who both warmly welcomed the initiative. After some visits at the main seats of the conference, all very close to each other (see Eliseo theatre where the conference plenary sessions will be hosted), CoLSAR took me also to Nuoro’s surroundings where some of the study and post-conference tours will be held. Here some pictures of this beautiful land I would like to share with EURAF members and agroforestry supporters. I’m sure you will enjoy the Sardinian agroforestry landscape and culture in 2020!